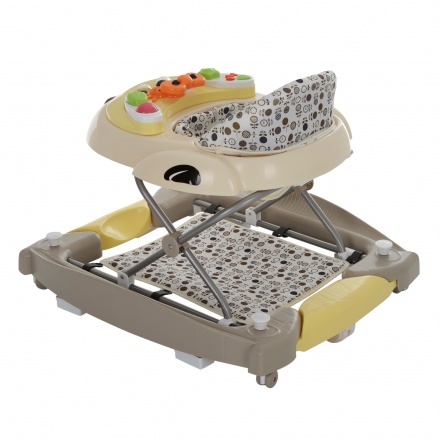 Juniors Printed Baby Walker | Brown | It has grip strips to reduce movement on uneven surfaces. Save AED 0 (0%) Earn 86 Shukrans What is Shukran? Shukran is the Landmark Group’s award-winning loyalty programme in the Middle East, which allows you to earn Shukrans when you shop any of our brands. Simple and stylish, this walker will let your baby move easily. 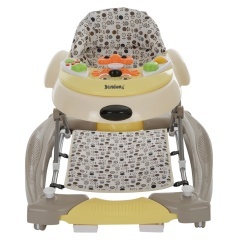 It can be easily converted to a rocker and has multi-position height adjustment. The grip strips help to reduce the movement on uneven surfaces. 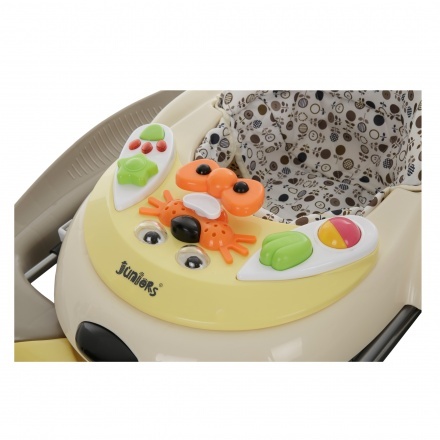 Feature 1 : It has grip strips to reduce movement on uneven surfaces. Feature 3 : Made of metal, plastic, and fabric. 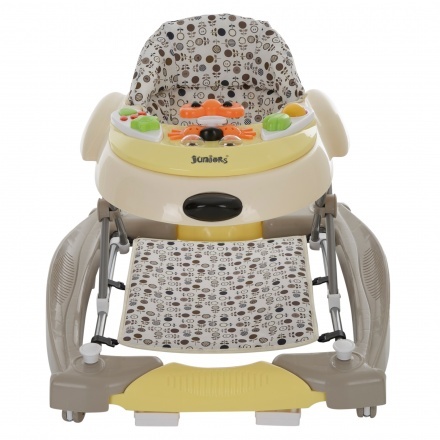 Feature 2 : It has single direction rear wheels to control the movement and can carry 15 kgs.